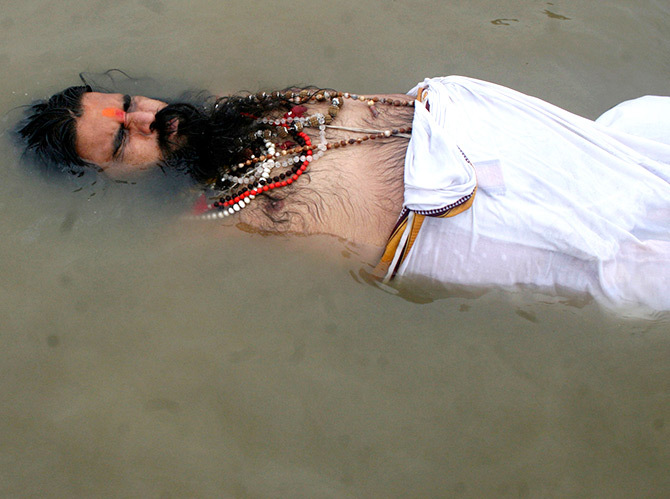 Rediff.com » News » Is Modi really interested in saving the Ganga? 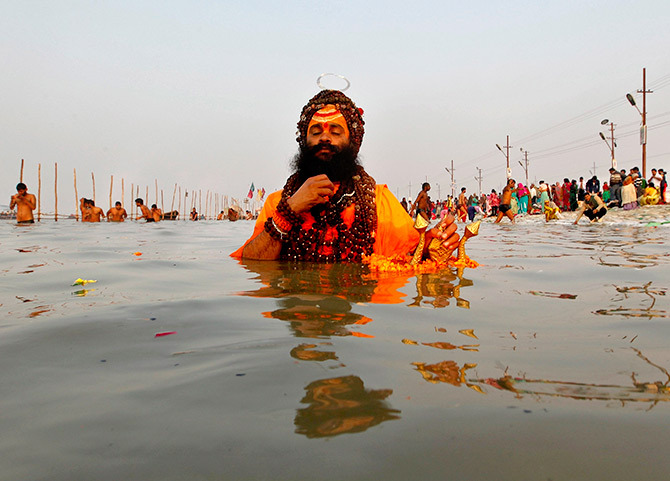 Is Modi really interested in saving the Ganga? The Ganga is in peril. Prime Minister Narendra D Modi, who made restoring the Ganga's health one of his election promises, announced the Rs 20,000 crore (Rs 200 billion) Namami Gange project in June 2014. Its aim is to reduce the pollution in the Ganga, conserve and rejuvenate this all important river. The project was earlier headed by Uma Bharti, then Union minister of water resources, river development and Ganga rejuvenation. Last September, Union Minister of Road Transport and Highways Nitin Gadkari has been given charge of the ministry of water resources, river development and Ganga rejuvenation as well. Though 120 projects and funds worth Rs 12,500 crores (Rs 125 billion) have already been sanctioned, the project is yet to make progress in its stated aim of cleaning the Ganga. In a recent conversation with M I Khan in Kathmandu, Nepal, renowned water expert Asit Biswas spoke about the future of the Ganga and expressed a keen desire to help clean up the highly polluted river. Acknowledged as one of the world's leading authorities on policy making and the environment, Professor Biswas says that, in comparison with China and Singapore, India lags far behind when it comes to policy making and implementation. At 78, Professor Biswas -- currently, distinguished visiting professor at the Lee Kuan Yew School for Public Policy in Singapore -- is frail, but active and outspoken. 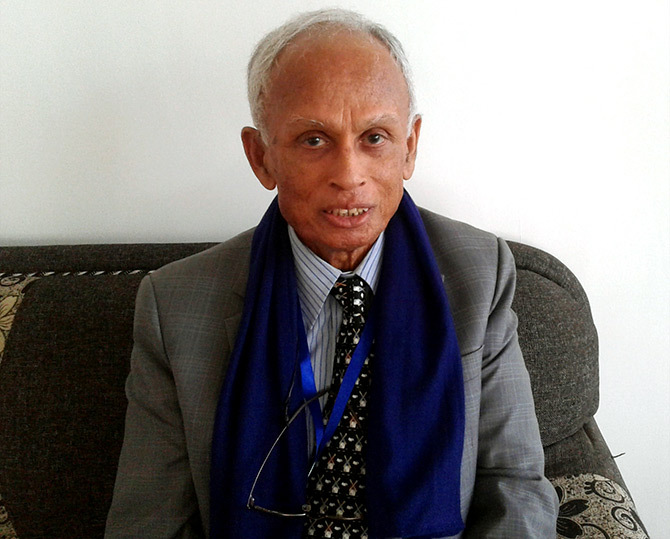 He has authored and edited over 80 books, mainly on water resources and management. 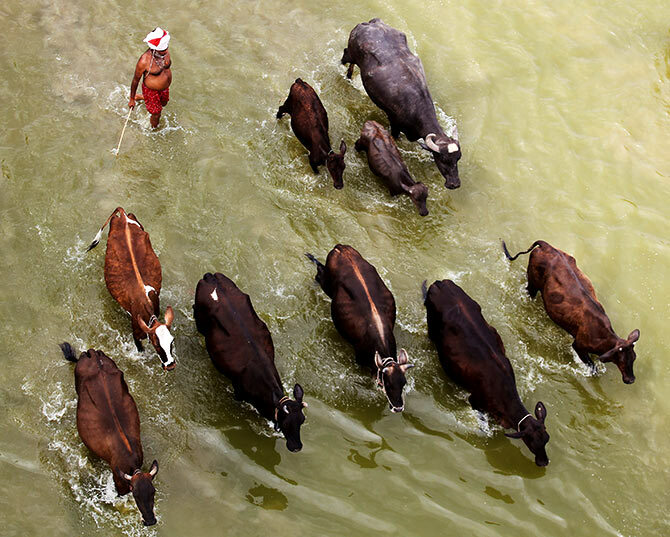 How would you rate the health of the Ganga? The Ganga is in a very bad condition. I can assure you the Ganga will be more polluted in 2030 than it is now. What they are doing under the Namami Gange programme has very little relevance. Things have to be done very differently. I have heard and read that, in next 10, 12 years, the government will spend millions of dollars more to clean the Ganga. Forget the past where successive governments have already spent a huge amount. What they are trying to do now is clean the Ganga without understanding how to do so. That is the reason why the Ganga has been getting even more polluted over the years. As an expert, what are your suggestions? I cannot explain it in this conversation. But I would like to say that, last year, I wrote repeatedly to Uma Bharti, the (then) minister of water and Ganga rejuvenation. I told her I was coming to Delhi and, if she had the time, I would be happy to meet her at convenience. If I write to a Chinese or Singaporean minister, I get a response within 4 to 5 days. In Uma Bharti's case, I even sent an e-mail to a close friend of mine in Delhi who printed it and had it hand-delivered to ensure it reaches the right person at the right address. I fail to understand why she was not interested in listening to me. Singapore and China are serious when it comes to policy matters. Do you have any idea why Uma Bharti ignored your request? Many politicians don't want to hear the truth. Uma Bharti has spent $2 million in the name of cleaning the Ganga. Last July, the National Green Tribunal, in a scathing indictment of the way government money was being spent on the Ganga, noted that despite the central government, the Uttar Pradesh government and the local authorities spending Rs 7,304.64 crores (Rs 73 billion) on the project until March 2017, the state of the Ganga had not improved. It continues to be a serious environmental issue. In India, the Ganga is closely connected with the faith of the people who call it Ganga maiyya (Mother Ganga) and consider it a divine blessing on earth. 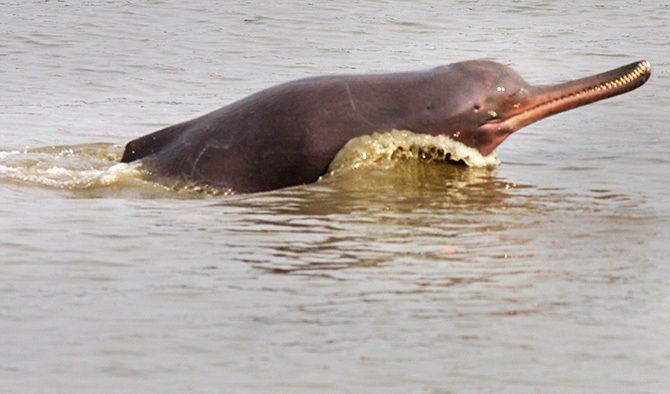 Despite this, the Ganga remains severely polluted. In India, we just talk of the Ganga being our mother and worshipping it, but the river is getting more polluted by the day. Namami Gange is Prime Minister Modi's dream project. 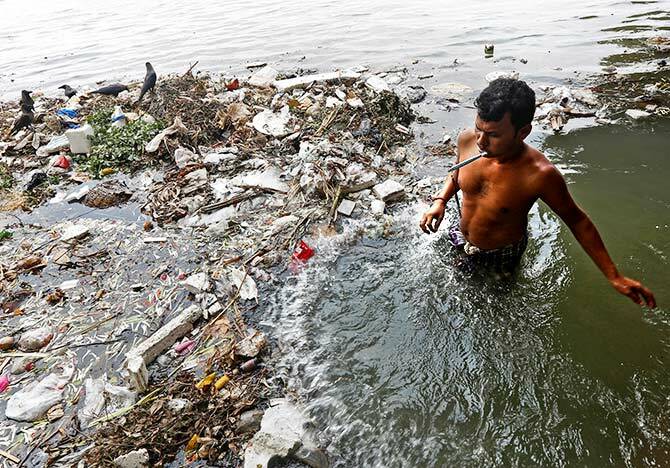 Will he succeed in his desire to clean the Ganga? Modi is a very clever person. Unfortunately, many of his ministers are not. In a country with 1.3 billion people, one man cannot do everything; he needs a good group of people around him as ministers. Modi may be serious, but his ministers are disasters. That is why I am not very optimistic. I don't know what Nitin Gadkari, who has now been handed the task of cleaning the Ganga, will do. I have offered to help and told him I don't expect any remuneration as I am well paid by others. As an Indian, I am happy to share my advice, but the government is yet to respond. Is the poor result of the Namami Gange programme related to what you have said about policy decisions not being based on scientific facts and evidence? Yes. In India, very little policy is framed based on scientific fact or evidence. Politics is basically what is acceptable to a larger number of people or to people who are powerful. Unfortunately, this is the case in the US as well or, for that matter, in any other country. Powerful people know how to influence politicians and get their work done. As a result, the rich are becoming richer and the poor get nothing and continue to be poor across the world. Unfortunately, scientists have not done very good job interacting with politicians. Very few scientists have contact with politicians, which is one of the reasons why policy decisions are not based on scientific facts. This is why people who are powerful can influence policies in order to benefit themselves. This happens in almost every country across the world. Few countries like Singapore, where decisions are based on facts and figures, are an exception. As far as the rest of the world is concerned, I am afraid they don't do very well. Can you compare India with China in this context? China is well ahead of India when it comes to seeking scientific evidence in order to formulate their policy. Though I am from India, the Chinese government has been assiduously seeking my help in policy matters. I have never ever had such an invitation from the Government of India. This is primarily because I don't have any political leanings. I am not close to any politicians. I am a scientist. I simply tell them what is good for the country. Since 1983, the Chinese government invites me every year and I spend a month there because they want my advice. The Indian government does not. Despite my eagerness to help, I never received a call from them. This has disappointed me, but there is nothing I can do about it. India is a democratic nation; they can decide who they want to talk to and who they want to take advice from. What is your opinion about the poverty scenario in India and China? In 1980, the per capita GDP in China was significantly lower than India's. Now, it is more than double and increasing rapidly. China has successfully alleviated 800 million people from poverty. India has also done a very good job. We have taken a lot of people out of poverty. But most of the poverty is still here. Under their new plan, China expects to be poverty-free by 2022. They might achieve their goal due to good planning and good execution. In India, we have many plans, but they don't get executed. I don't see India becoming poverty free in my lifetime or in my children's lifetime. As far as eradicating poverty is concerned, it is going to be a very long journey for India. Could you make a prediction about India's future? India's future will improve when its policies, and the execution of those policies, are people-centric. By 2050, India will have 1.7 billion people. India's biggest problem is how to create jobs. It will have to create 1 million jobs per month. If you don't create enough jobs, unemployed youth will create social tension. India is not creating half the number of jobs that are needed. What are the other challenges India is facing? India's other big challenge is education. India's education system is very poor. Most of her graduates are good for nothing.